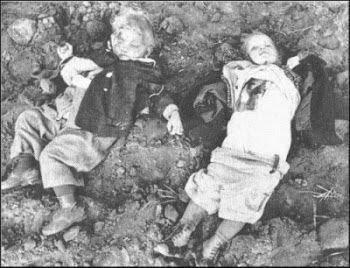 The Nemmersdorf massacre was a civilian massacre perpetrated by Red Army soldiers in the late stages of World War II. Nemmersdorf (present-day Mayakovskoye, Kaliningrad Oblast) was one of the first pre-war ethnic German villages to fall to the advancing Red Army in World War II. On 21 October 1944, Soviet soldiers reportedly killed many German civilians as well as French and Belgian noncombatants. Things that happened on that date Oct 21st..
That's interesting because that's the year B'Nai B'Rith founded it's temple in Jerusalem and it's the reason 888 keeps coming up I think. The date St Valentine was beheaded in Roman numerals. Date of the Nemmersdorf masscure in Roman numerals.